It's no secret that most of my jewellery has come from sample sales and I've always managed to find a bargain at most. Every time an email invite to the Fabergé sample sale appears I share it on Jewellery Curated and wonder if I will go to it. Up to 80% off is an enticing offer but with no clear indication of what price that means I've always assumed if you have to ask it's probably not in your budget. But on a cold sunny morning on the 9th of December, I finally went along to investigate. First things you need to know you do have to RSVP. They did have a list with my name on but if you don't RSVP I think you could still get in. At previous sample sales I've been a to at The Music Room I have queued around the block to get in. Also usually if I can't make it to the first day of a sample sale, I assume all the good stuff will be gone. I did attend the Fabergé sample sale on the second day so who knows what was available on the first day. This time there was no queue on this occasion; there wasn't even a single other person there either. Bags and coats must be given in at the clock room and then armed with my phone and wallet I went in. I would have loved to share a new piece of jewellery in my collection or even tonnes of photos of me dripping in amazing gems, but I wasn't able to take pictures. 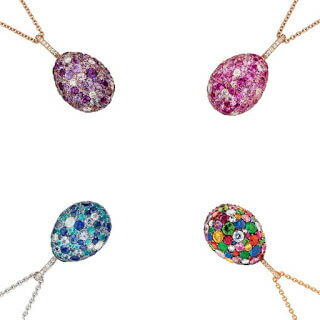 Instantly I looked for the egg pendants at full price these can set you back £2500. 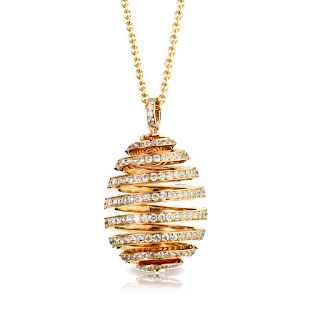 There was quite a lot of choice for egg pendants with the cheapest I saw for sale at £2000 all the way up to £6000. The chain is sold separately at £450. 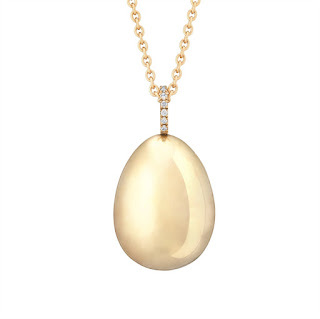 At full price the Simple Yellow Gold Pendant is £2,455.00 at the sample sale this was £2000. At full price the Spiral Diamond Rose gold pendant is £12,728.00 at the sample sale this was £6000 without the chain. The reduction is £6728 compared to the simple yellow gold pendant which had a reduction of £455. There was everything from studs and earrings to necklaces and cuff-links.Cuff-links started at £2200. 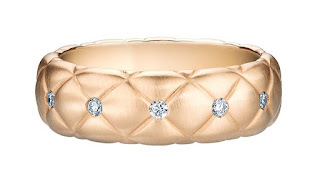 Rings, such as the Treillage Diamond Rose Gold Thin Ring was £1000 down from £2182. Some of the ornate stone set rings from the Three Colours of Love collection were priced at £6000. 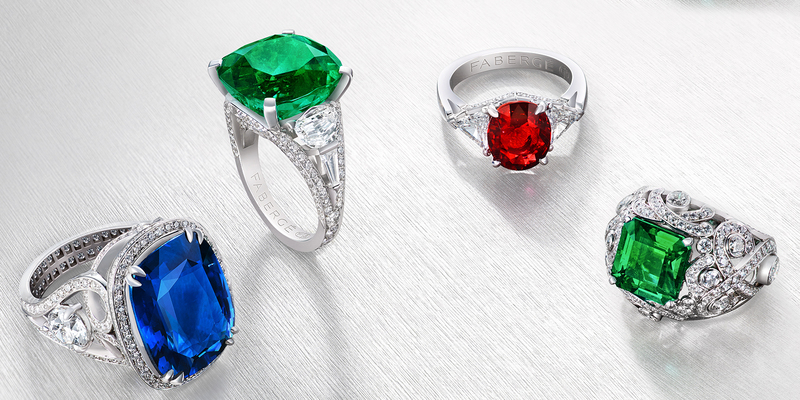 On the Fabergé website, these rings are price on application. The most expensive item I saw was £14000 for a lot of sparkle on a diamond necklace. 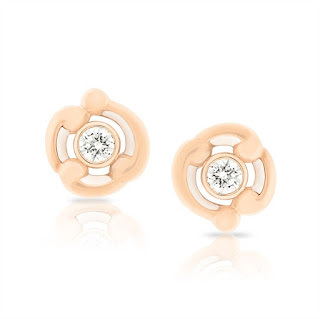 Overall the cheapest piece of jewellery I saw was a £1000 pair of rococo white enamel rose gold stud earrings which are typically £2,273.00. My closing thoughts for this is that if you can afford to buy a £2500 necklace, I don't see why you would buy one at a sample sale. The reduction on an egg pendant at a Fabergé sample sale could be anything from £500 to £6000, but all items are "sold as seen", not in perfect condition, and you can't return anything. I imagine if I had a budget like that for fine jewellery I would want the experience and customer service that comes with going to the boutique. Arguably this is the same for pieces I've bought at other sample sales. The most I've dropped at a sample sale was £60 on a ring. The real deal from the jeweller is £138. I know if I lose mine that I would go and buy a new one as I love this ring so much. £138 is an achievable purchase so why don't I buy from the store? Part of it is that I love a treasure hunt and when a sample sale is a once or twice a year event this helps keep my purchases down. Some of the brands I like only have a sample sale once a year and I love the excitement and discovery of what I might find.